Sneak peek of Daniel Ricciardo's 2019 helmet? 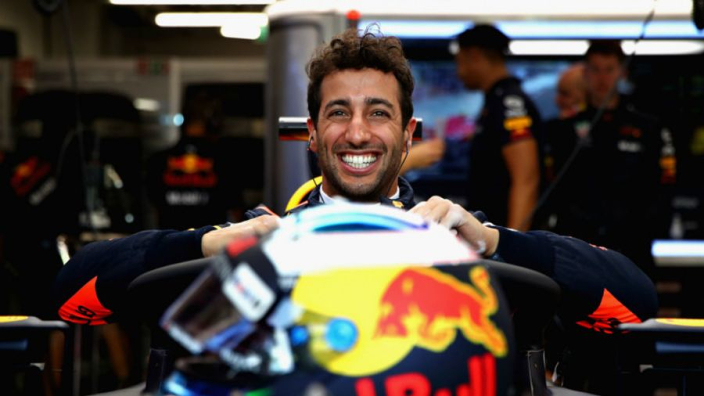 Daniel Ricciardo has been up to "helmet stuff" as preparations for the 2019 Formula 1 kick up a notch, and have we had a sneak peek of his design for the season to come? The Australian will be in action for Renault this year, having ended a decade-long association with Red Bull. Ricciardo shared an image of his helmet in progress on his Instagram feed on Sunday, with some interesting colours hinted at, if indeed we are looking at the final design. It certainly seems that something novel could be on the way for the Australian, who has enlisted the help of designer Nicolai Sclater, better known as Ornamental Conifer, to craft the look of his lid.